Top tips for buying full colour printed pens! The whole point of promotional printed items is to make your brand and message noticeable. You need people to pay attention to you and take note of who you are. Visibility is crucial in any business. If people don't know you, they won't do business with you it's that simple! 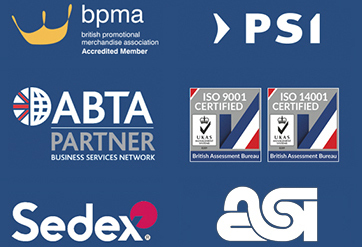 So, you need them to pause and take notice of your brand. However, in order to achieve that goal, you need to stand out. 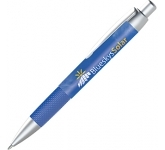 Everyone is handing out budget promotional products. What's more, after a while, people stop paying attention to them. 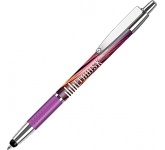 Therefore, to succeed, you need to grab that attention in a matter of vital seconds. 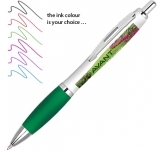 One way to achieve that is with full colour printed pens. 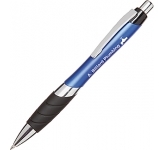 Promotional pens are the number one promotional product out there. 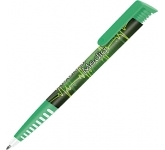 People love them, and they often keep them and use them for a long time. However, you still need to shake things up. You don't want your brand to be associated with a drab, dull product. Therefore, why not go for something different? Something vibrant and eye-catching? 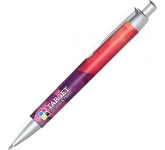 Full colour printed pens are an effective yet affordable promotional giveaway. 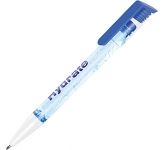 They offer better value for money than regular pens. Why? Because they hide a lovely surprise inside. They are appealing to the eye even before you start using them. And, when you do, a bright, fun colour awaits inside. Furthermore, pens branded with full colour printing look expensive and luxurious. 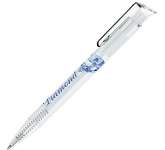 People appreciate gifts that look high-quality and high-value. 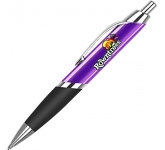 So, with full colour branded pens you have a promotional item that speaks only the best about your brand. 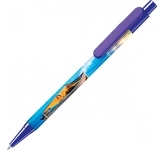 They are valuable, amusing, remarkable, luxurious - just like you! 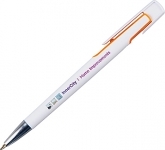 Therefore, full colour printed pens represent the perfect way to attract attention and are a key reason why you should use promotional pens to promote your brand. 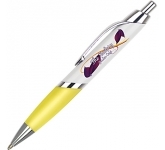 Put simply, your brand needs promotional merchandise that will be memorable and unique. 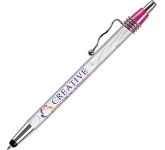 Therefore, while others are handing out regular stuff, why not go for maximum impact and stand out from the crowd. 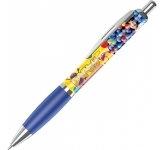 Full colour pens are an ideal promotional product. It doesn't matter what kind of a business you own. Furthermore, it doesn't matter what your target audience is. Everyone loves some colour in their lives! 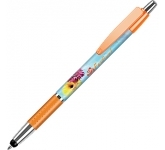 These pens will bring a touch of whimsy to every office and workstation. 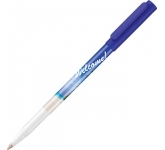 What's more, they will be the outstanding, fun addition to classrooms, boardrooms - all kinds of rooms, really. 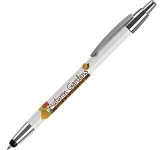 You can hand them out in a formal or in a casual setting and they make ideal promotional trade show giveaways. 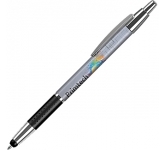 Don't be mistaken, full colour pens have a place everywhere. 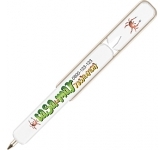 They are the perfect addition to the hotel stationery, for example. 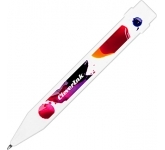 Furthermore, they will brighten up any dull piece of paper. People who do a lot of administration love to colour-code. Therefore, give them a product that will help them do just that. Make their day a bit brighter. 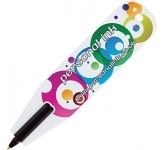 That way, they will associate your brand with the vibrant colours and the feeling of whimsy. And, that's precisely the feeling you want your brand to evoke. 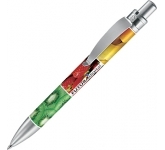 Printed full colour pens will also settle just as easily in airports, schools, shopping malls, hospitals, etc. 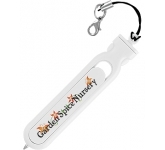 Not to mention, you can hand them out at exhibitions, trade shows, events and conferences, and make your brand a far cry from others. 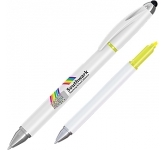 We offer a variety of printing options on our vast range of full colour printed pens including the very latest in UltraHD print technology allowing us to reproduce full colour images, graphics and logos to a standard most suppliers can only dream of. 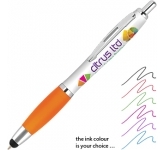 So, if you are looking for low cost, budget, bulk discount, value or cheap full colour printed pens, and happen to find the same pens cheaper, with the same print specification and turnaround, just let us know and we will match the price and back it with our industry Award Winning Customer Service - that's our guarantee! 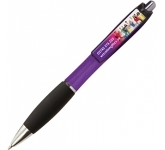 For additional information on the advantages of promotional pens or how to effectively harness promotional products to enhance your latest marketing efforts, why not contact us and have a chat to one of our dedicated account managers who will be happy to advise you further.